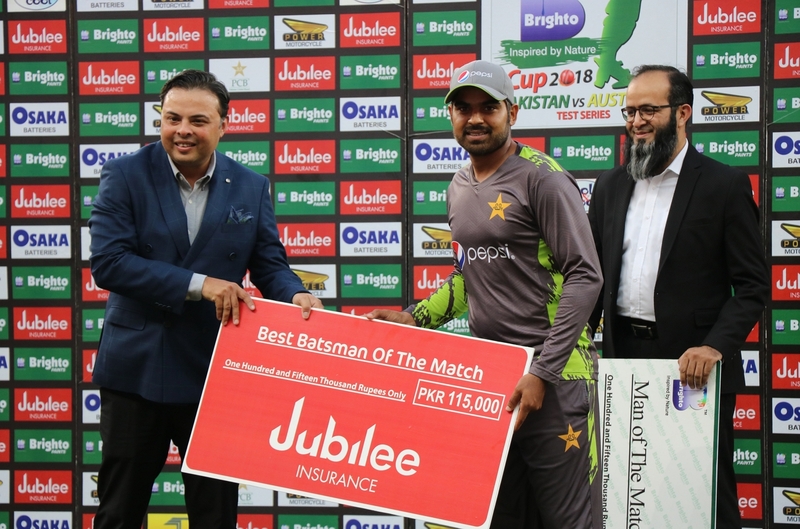 Syed Usman Qaiser, Chief Manager Marketing - Jubilee Insurance, presenting the Best Batsman of the Match Award to Haris Sohail for his outstanding performance for Pakistan in the 1st Test Match against Australia. Haris Sohail scored 110 runs in 240 balls in the first inns, and catch out by Paine on Lyon ball…. while in the second inns he scored 39 runs on 81 balls. He was lbw out on Labuschagne ball in the second inns.